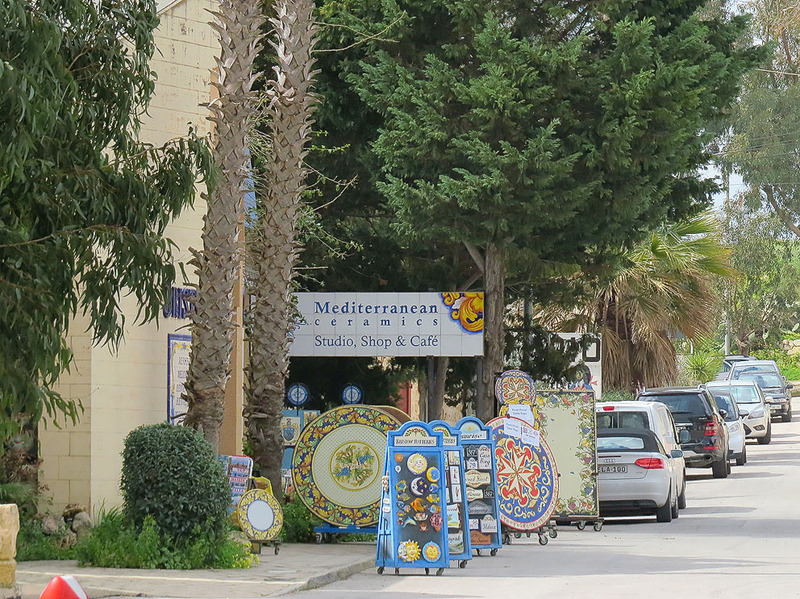 First impressions don’t do much for Malta’s Crafts Village at Ta Qali. Mostly housed in a ramshackle collection of wartime Nissen huts which have seen better days on a disused RAF airfield hardly makes for the best location possible. The Crafts Village is a commendable initiative that was started in the early eighties but talk of upgrading it or moving it to a more agreeable location has been plentiful and cheap. The political pussyfooting has led to a situation where some operators felt they could afford to upgrade their workshops while others decided that investing at Ta Qali might be short term and therefore too risky. The latest talk is of relocating the village to the historic marine workshops in the revamped Dock No.1 area in Bormla – this would make for a stupendous location but as in the past nothing is so far writ in stone… Nevertheless the Crafts Village remains a firm favourite with most visitors and it IS the place to visit if you’re determined to take home a piece of Maltese craftsmanship as it does offer the widest spectrum of crafts under er…a variety of roofs! There’s a good choice of goods on offer. Malta’s famous filigree silver jewellery is well represented in a good number of small workshops. Filigree making is distinct to the Mediterranean basin, and Malta has a very long tradition in this craft. The craft has been passed from father to son for generations, providing an income to several village families over the years. You will find brooches, earrings and pendants in all forms and shapes – not least the well-known Maltese eight-pointed cross. Pottery making is another craft where the Maltese have a long tradition; indeed one can easily say it traces its origins in the Megalithic culture of 5,000 years ago when fine potter ware was already in evidence. 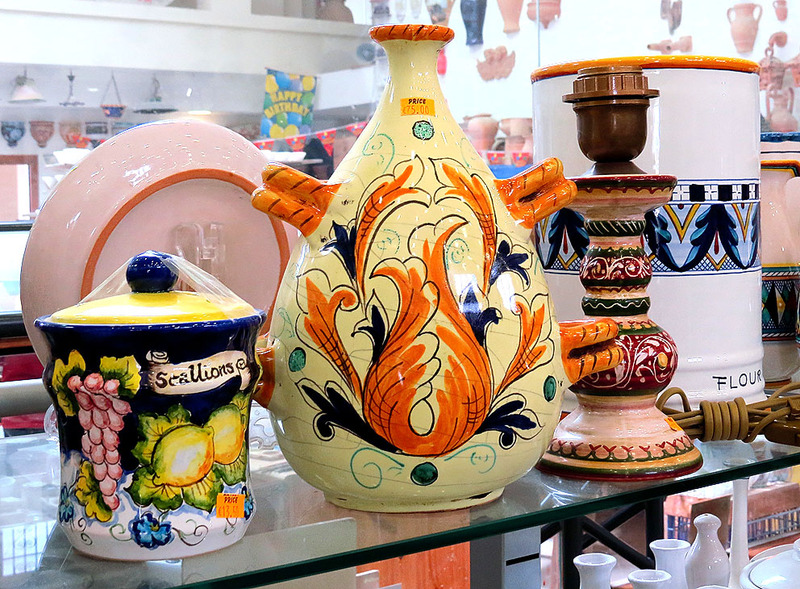 Again there’s an array of items to choose from – ranging from pretty ceramic house numbers to exquisite replica Majolica jars to more everyday items like salt shakers and ashtrays. As with the filigree craftsmen you can watch the potters at their work too. 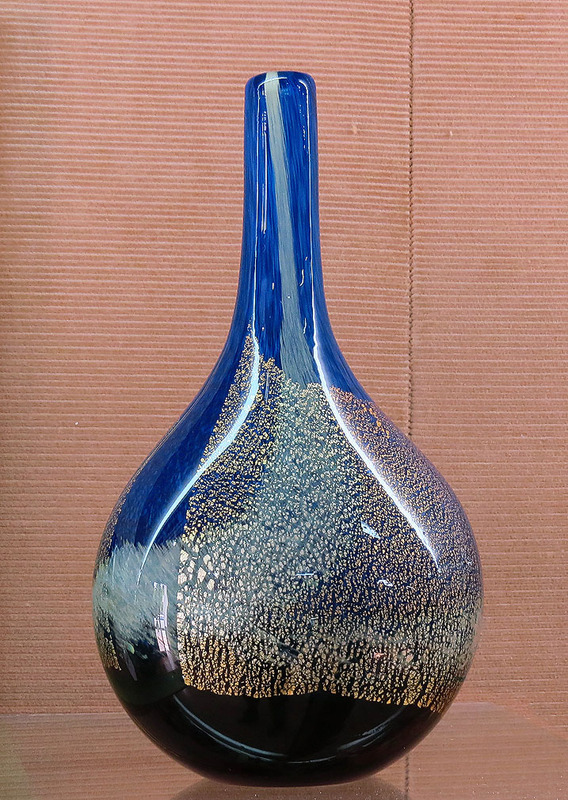 A more recent addition to the crafts industry has been the introduction of decorative glassware. Mdina Glass – who have their workshop and spacious showroom adjacent to the crafts village – were the pioneers in this area, starting out in 1968. Since then three or more ventures have gone into this specialized area and all of them are represented here. The quality and range of the products is truly outstanding. You could go for an inexpensive perfume bottle or a multi-coloured glass paperweight or you might even like a more bulky bedside lampshade. You can also watch the glassblowers at work of course – a fascinating experience itself. And if you do fall in love with any of the bulkier stuff at the Crafts Village don’t worry… most of the businesses will ship to the UK for free. Doesn’t get better now does it? 1 Pings/Trackbacks for "Ta Qali’s Crafts Village"